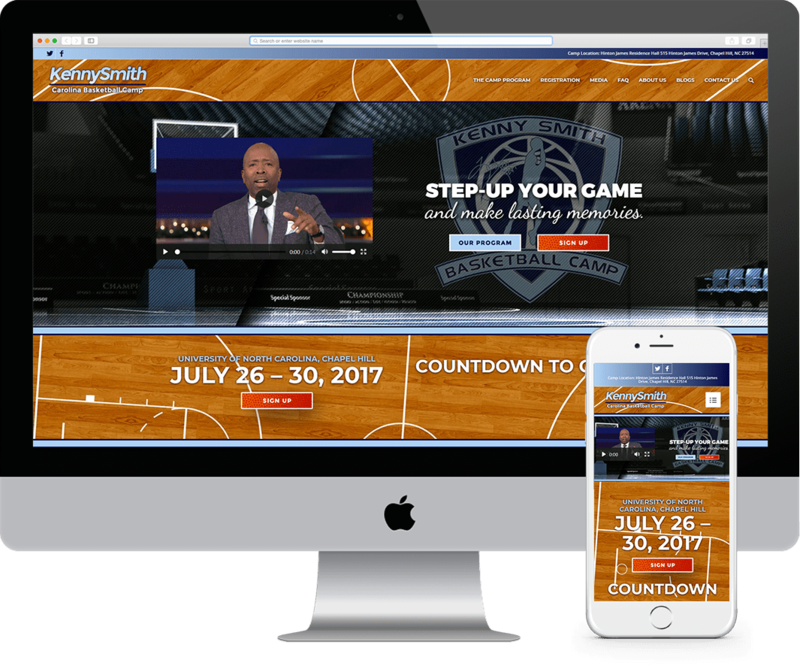 We were hired to create a platform where kids could get information on and register for the annual basketball camp help by Kenny Smith. Our goal was to create an engaging and subtly themed website that would attract youths to the site, provide them with pertinent information and then ultimately get them to sign up for the camp. We created custom graphic elements and a custom countdown clock signaling the start of the camp. Custom headers and footers we also designed along with a number of smaller intricate elements that give the website a complete and refined look. The end result is a very unique and creative website that serves the main purpose of attracting visitors and gaining new registrations for the camp each year.